Jack and Joan Iversen at their wedding in 1969. This month would have been my parents’ 45th wedding anniversary. It was a second marriage for both of them-if you saw them together, you would not have thought them especially romantic or overtly demonstrative in their affection for each other. But after my mom died in September 2013, Jack was lost without her, and upon hearing that, everyone who knew them commented that they always were together, you rarely saw them apart. 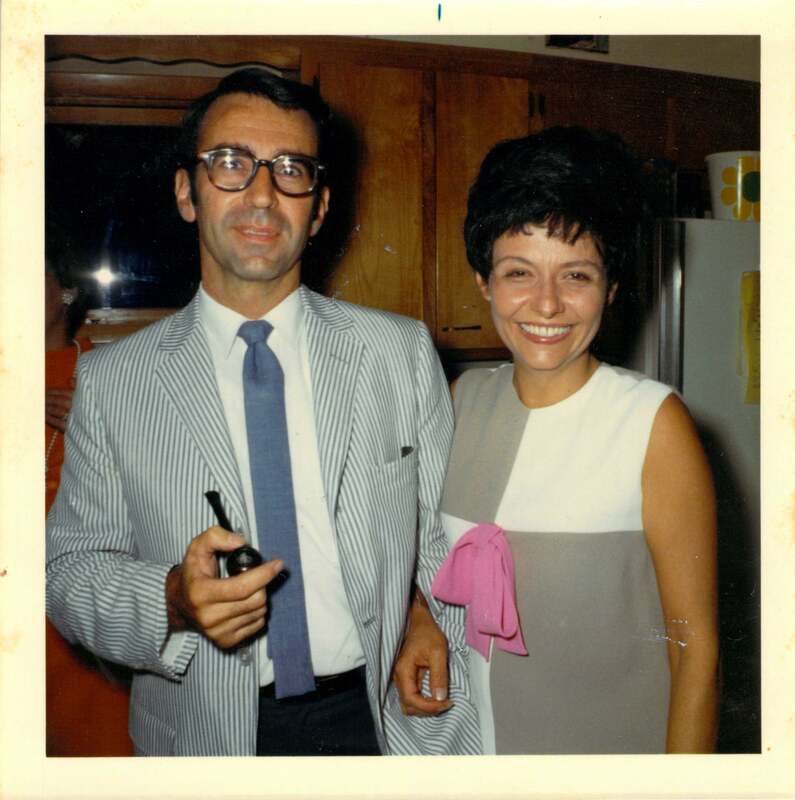 In the final days of Jack’s life, seven months after my mom’s death, he expressed to my sister that one of his few regrets was that he didn’t leave his first wife sooner, so he could have had more time with Joan. Hearing this story, people who didn’t know them exclaim, “it’s a love story.” And yes, I guess it was–just one that was not the cultural stereotype of a love story–quite appropriate for them, I think. So, in honor of that love story, here are a few photos of them together, beginning with the day they were married (August 1969, a tumultuous time in the world) until their last days together. Happy Anniversary, Joan and Jack! Click on any of the photos to see them in a larger image. Thanks for the memories on Jack and Joan’s anniversary. The pictures, particularly the last in the series are touching.